​Ms. Camargo is the Regional Director of External Affairs for AT&T Massachusetts. In this role she provides community relations at the local level to foster corporate partnership with municipalities. Ms. Camargo works on legislative and regulatory affairs where she researches and prepares analysis on legislation. Prior to AT&T Ms. Camargo was a Senior Policy Advisor for the Massachusetts Executive Office of Public Safety and Security where she worked on various topics surrounding Youth Violence, Witness Protection and Reentry. Ms. Camargo is also the Founder of Chica Project, a social enterprise dedicated to closing the opportunity divide for young Latinas by empowering them with the skills, confidence, and network necessary to thrive personally and professionally. When Nurys first began her professional career in Massachusetts, she witnessed an overwhelming need and opportunity to align a growing network of Latina leaders with first-generation Latinas living in the Commonwealth’s most underserved communities. She believed that demand could be met with mentoring and career/college coaching, which could then lead to an ever increasing and stable pipeline of social mobility for the Latino community. A talent scout and connector by nature, Nurys decided the best next step would be to start recruiting a new generation of Latina mentors with the help of a close circle of accomplished professionals and civic leaders committed to ensuring young Latinas across Massachusetts can celebrate their culture and heritage, connect to the wisdom and care of professional women, and prepare to “be at the table” when decisions about their interests are at stake. Originally from Hialeah, Florida, Ms. Camargo graduated from Baruch College in 2008 with a Masters in Public Administration from the National Urban Fellows Program. In 2004, she graduated from the Latino Health Institute at Suffolk University and received a certificate in Health and Human Service Management. In 1997 she received a Bachelor of Science in Criminal Justice from Mount Ida College in Newton, Massachusetts. 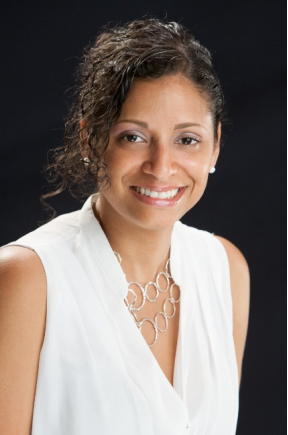 Most recently Ms. Camargo was recognized Boston Business Journal, Boston Magazine, Latina Magazine, Ethnic Media Online and the Red Cross of Eastern MA for her passion to build inter-generational pipelines of woman of color. Latina Magazine awarded Ms. Camargo with the Next Generation Latina an award that featured 10 women in the country to keep an eye on. Ms. Camargo has also been featured in the as an emerging leader in Massachusetts’s El Planeta Newspapers 100 most Influential People to the Latino Community.